I think this was my 5th visit to the Silk Mill. Tony Sweet invited a bunch of folks for what was essentially a big party! There were 19 crazy photographers crawling around this wonderful building in the freezing cold of the morning air. Brrrrrrrr…. A great time was had by all, after we warmed up…. The tool caddy is something that draws me in every time. 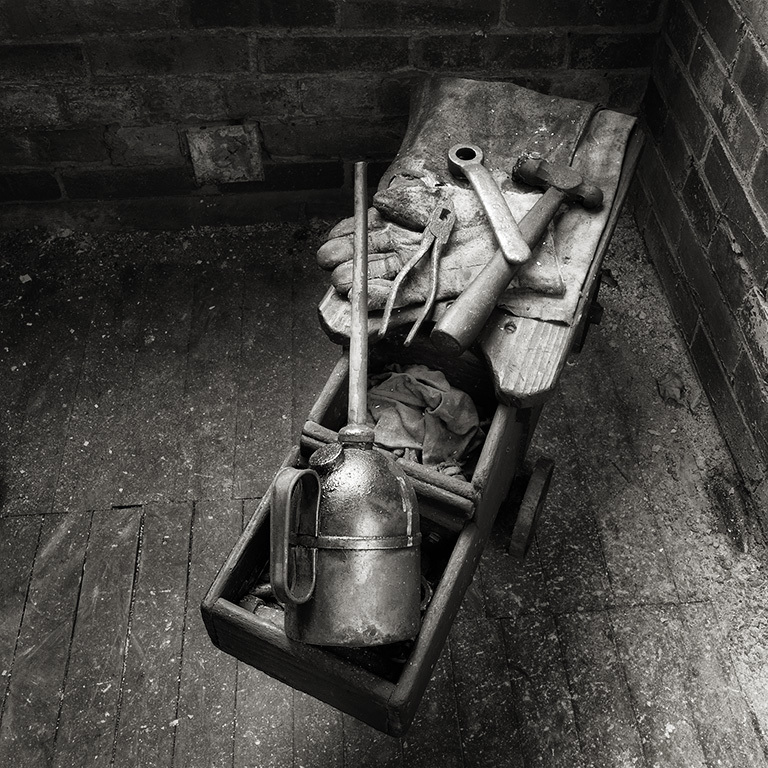 Someone had done a nice job of laying out some tools, glove and oil can. It was different than I had seen before. Another opportunity! A close up take below as well. 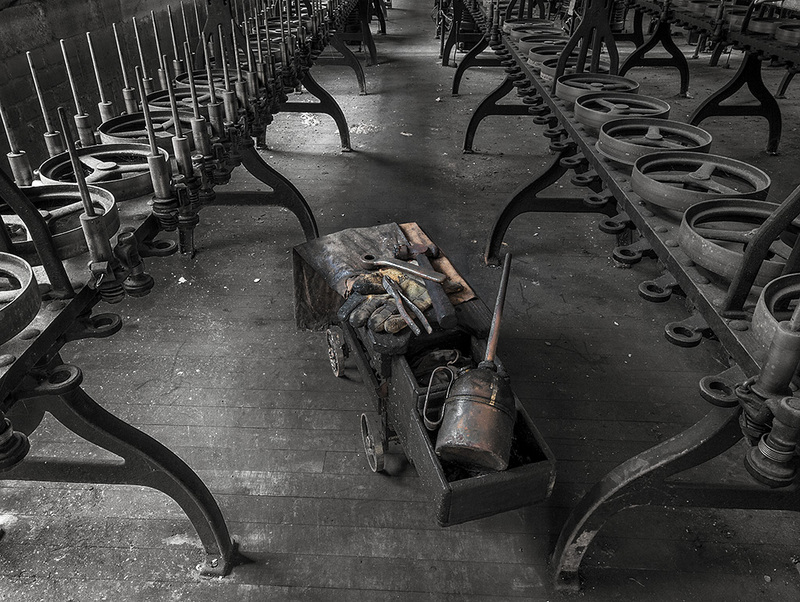 Love the shots from the mill JB…have you ever looked at the floor? Looks like it just might have a story to tell! Yes, the first one is very dramatic, with the equipment framing the tool cart. Gorgeous place. Well done image and a fun day!